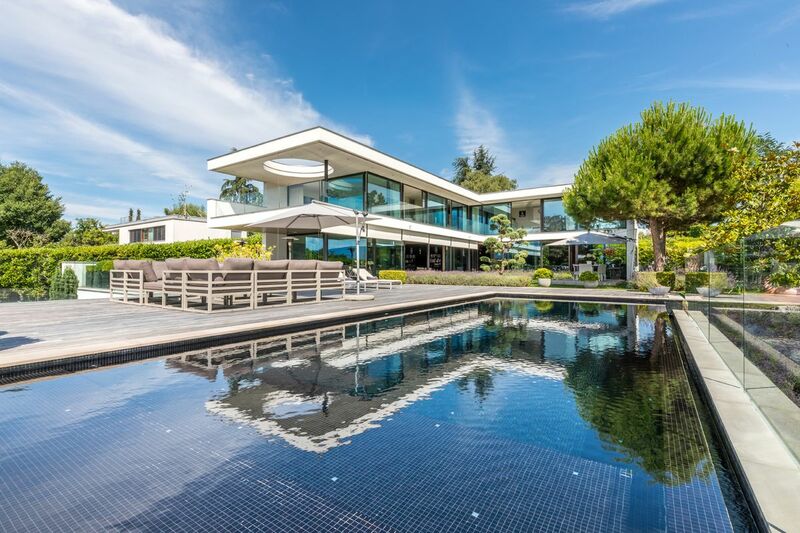 This luxurious contemporary property is located in Anières, in one of the most beautiful municipalities of Geneva. 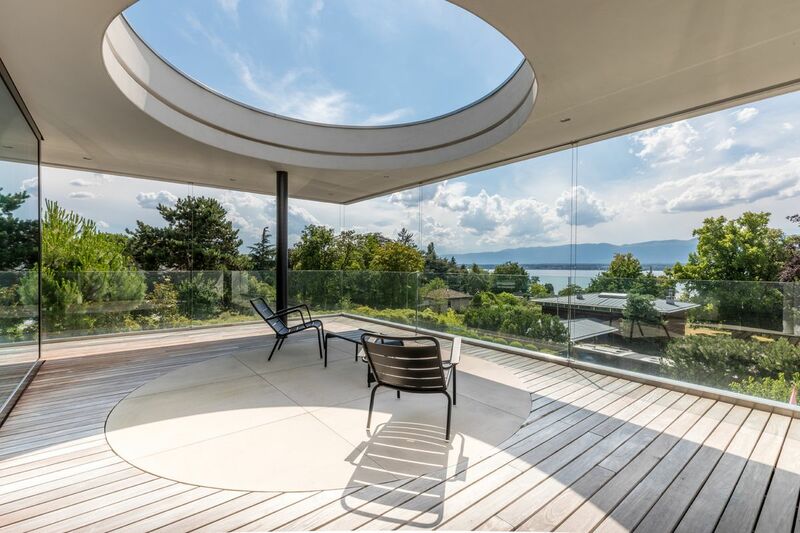 Just a few minutes from Geneva city centre, you will love its tranquil surroundings and magnificent view over Lake Geneva. The ground floor offers a spacious living room with fireplace, a dining room and a large fitted kitchen with central island. 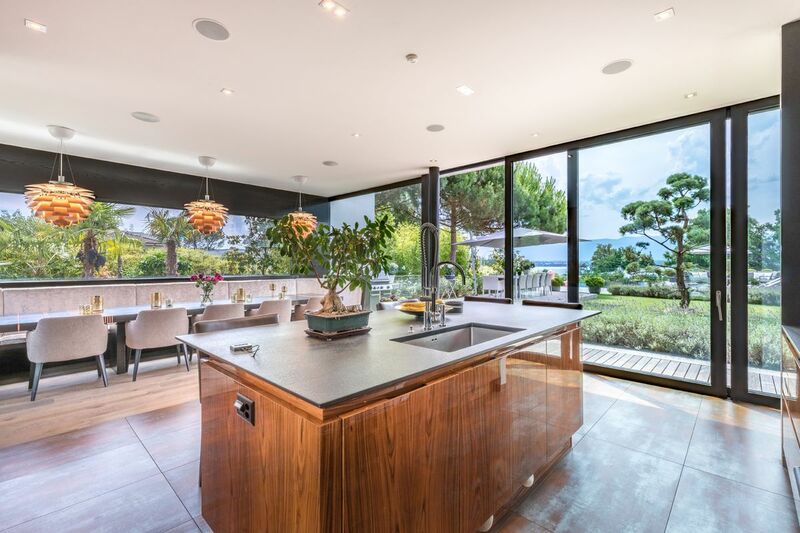 The ground floor opens onto outdoor terraces and is bathed in sunlight all day long, thanks to several large windows. The sleeping area has a splendid master suite, featuring a private balcony that lets in plenty of light through its canopy. 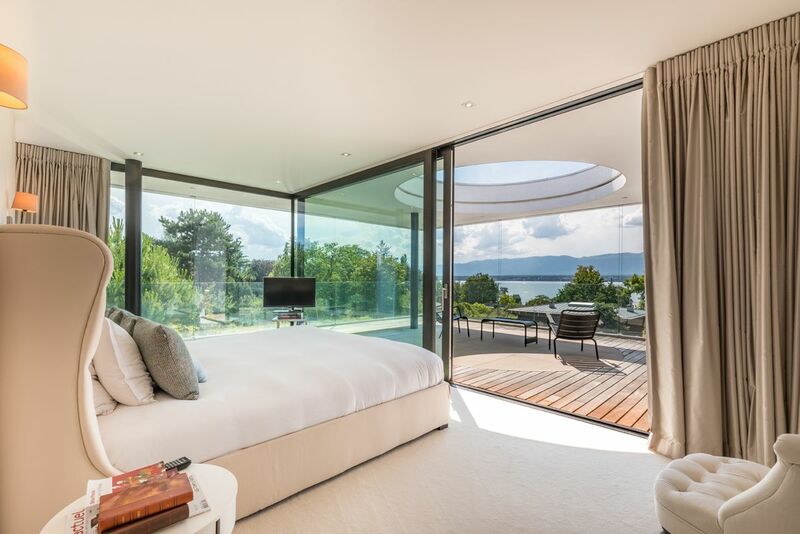 This bedroom has a double dressing room and full-sized en-suite bathroom. There are three other bedrooms on this floor, each with a dressing room and private shower room. A further guest bedroom with shower room, which could be converted into an office, completes the floor. 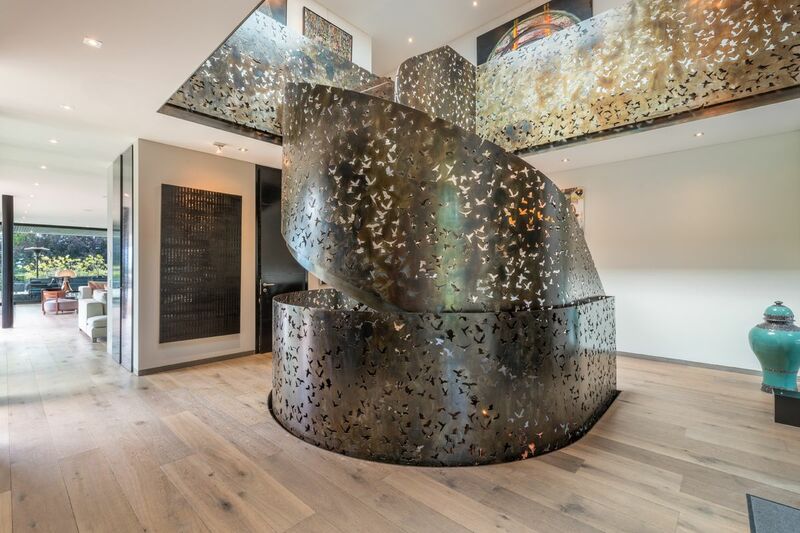 A monumental bronze staircase rises up through the floors like a work of art. 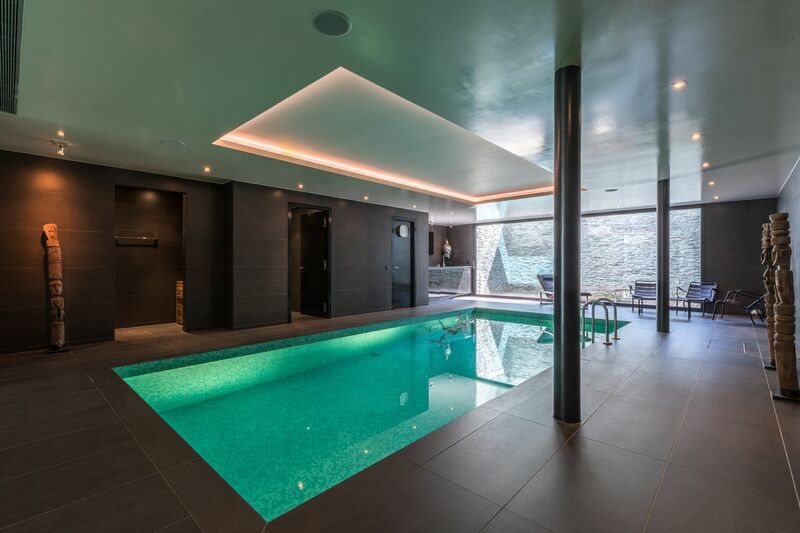 The basement features a splendid spa and mosaic swimming pool, and could be fitted with a sauna and hammam. 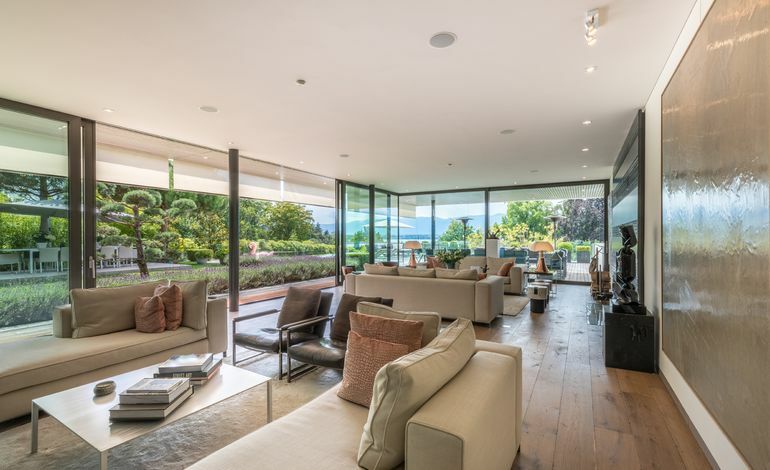 The large bay windows mean this space is bathed in natural light. This floor also houses a bedroom with en-suite shower room, a self-contained studio with kitchen and a games room. 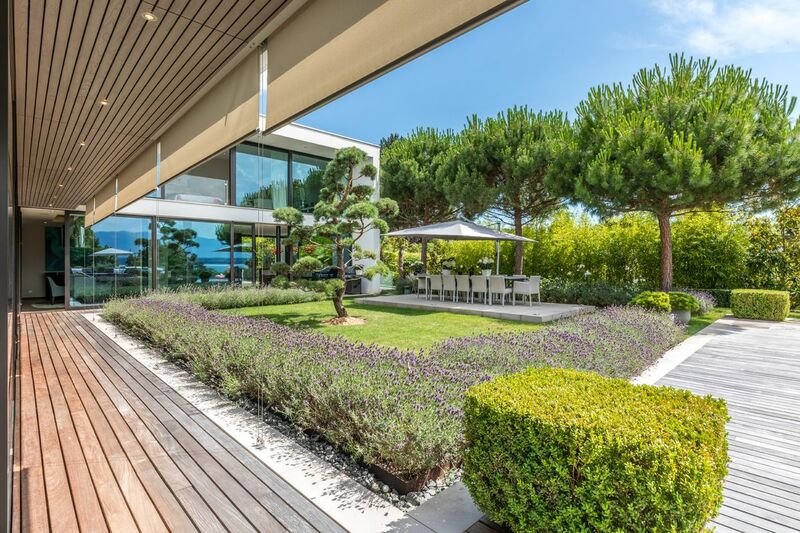 This exceptional villa has two entrances, with parking for 3 or 4 cars close to the main entrance, plus another 2 or 3 cars in the covered garage by the second entrance. 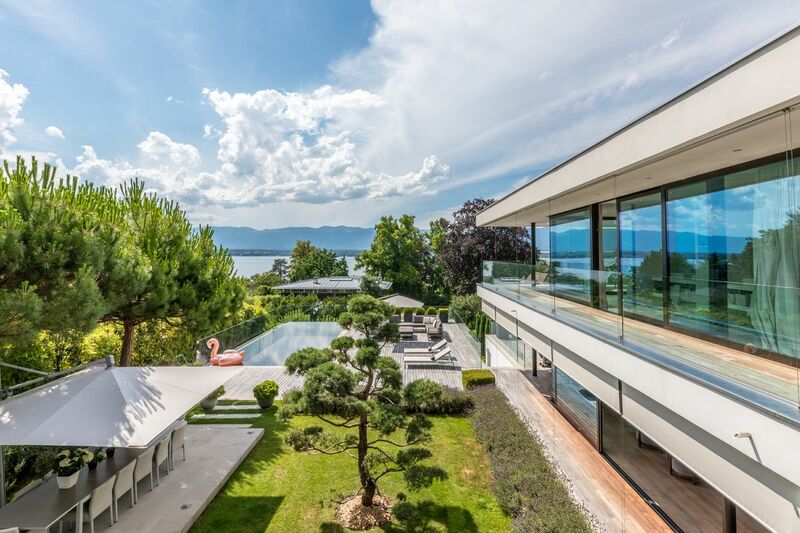 Discover this sublime property – a rare gem on the Geneva market. 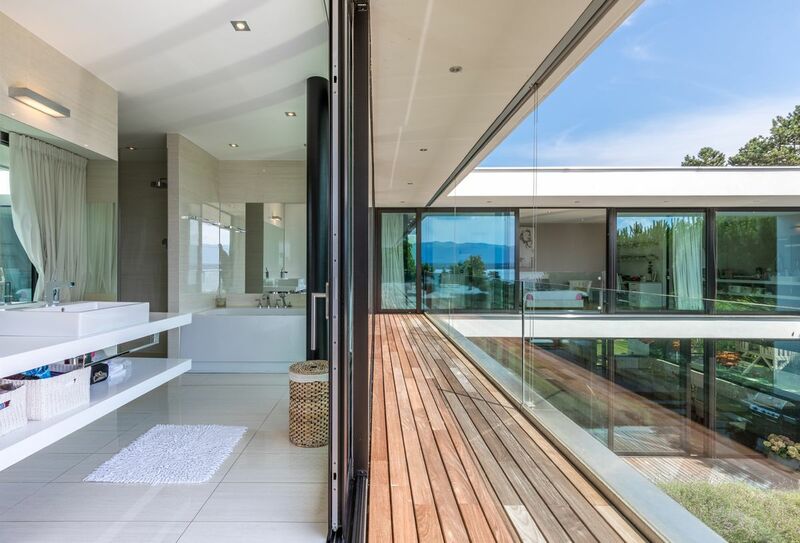 This sublime L-shaped property was built in 2011 by a reputable Swiss architectural firm and sits on a 1900 m2 plot. 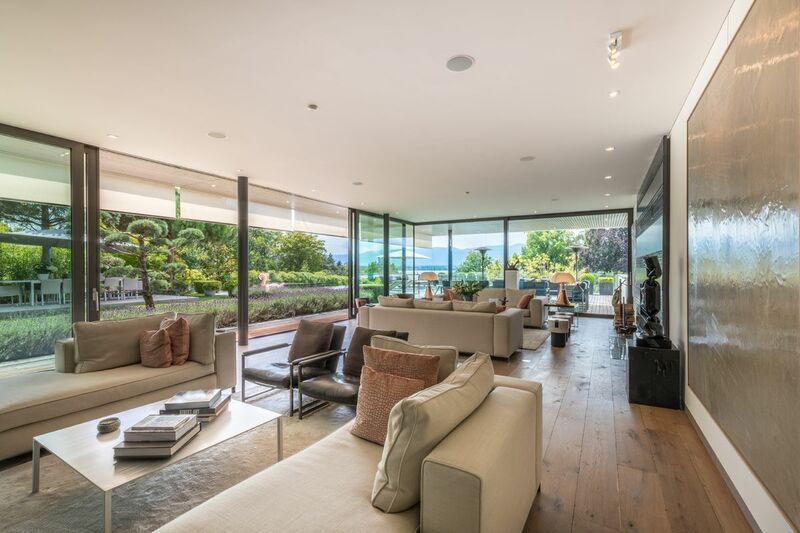 It offers beautiful spaces and a living area of more than 900 m. The large windows offer a range of different perspectives over the various garden areas surrounding the indoor spaces. 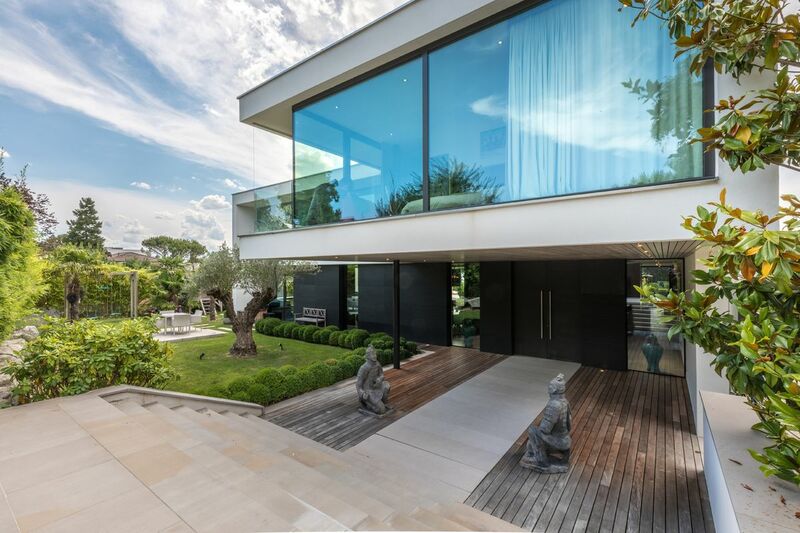 At the heart of the villa is a garden, two terraces and an incredible infinity swimming pool. 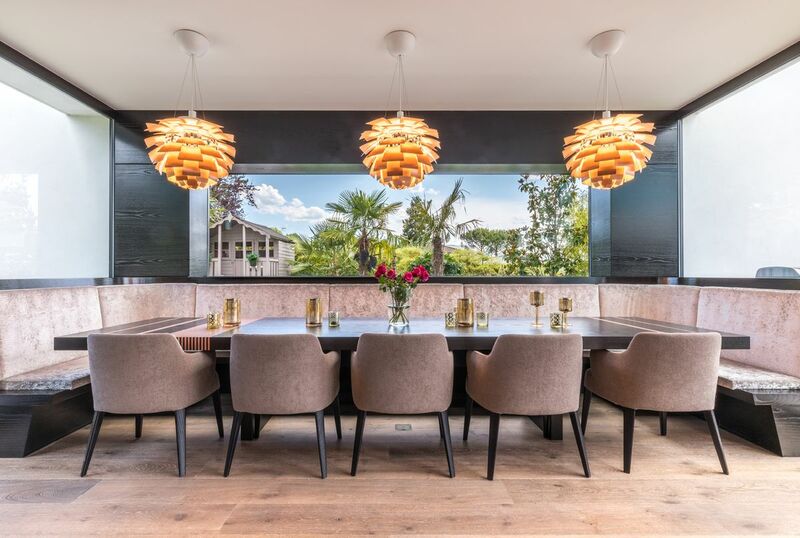 The first outdoor terrace is an extension of the main living room, while the second, with its large dining table, is a truly inviting spot to relax and enjoy beautiful summer evenings.